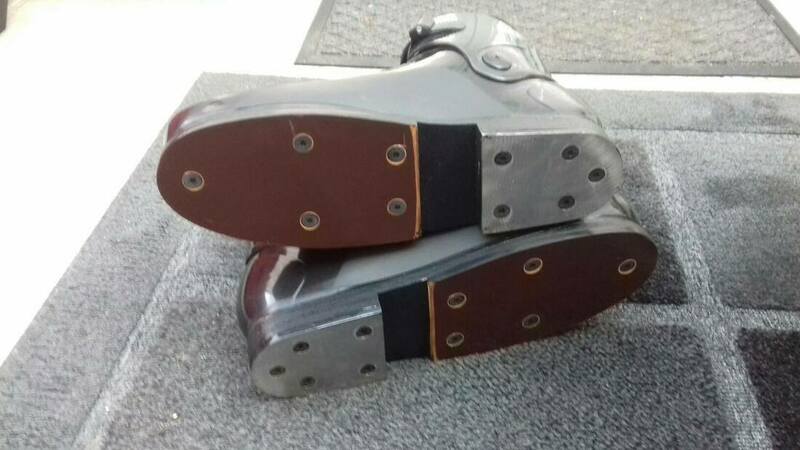 All of our top quality lace and clasp Tug Of War Boots are manufactured from Ice skating boots. Hand built to a high specification that meets TWIF Regulation guidelines. We can confidently say that our TOW boots are used all over the world. Do you want your team to be comfortable? Do you want a strong, reliable and secure Tug of War boot that looks good when you are pulling your opponents across the line? Then your search is over! Check out our selection of unisex models. Each pair is made with a 10mm Marine Ply sole with a Tufnol® plate . The hard-wearing rigid polyurethane plate is easily inter-changeable. The 6mm thick stainless steel heel plate digs in and gives good grip while complying with the TWIF rules. All boots come Competition ready - simply phone or email your order - get training and you're ready! Offering different Unisex styles to suit all tastes and budgets - Available in sizes UK3 – UK15 / Euro 35 - 48. We are able to provide worldwide shipping - please ask for postage rates when you contact us.